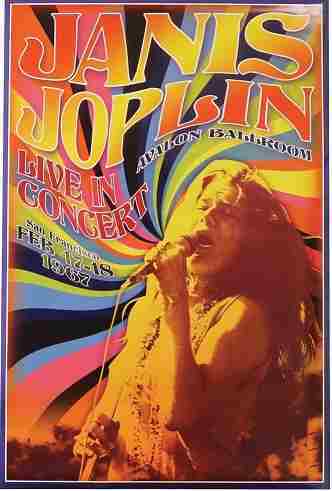 New design for Janis's concert at the Avalon Ballroom in 1967. Officially licensed Janis Joplin merchandise. Approximate size 24" x 36".